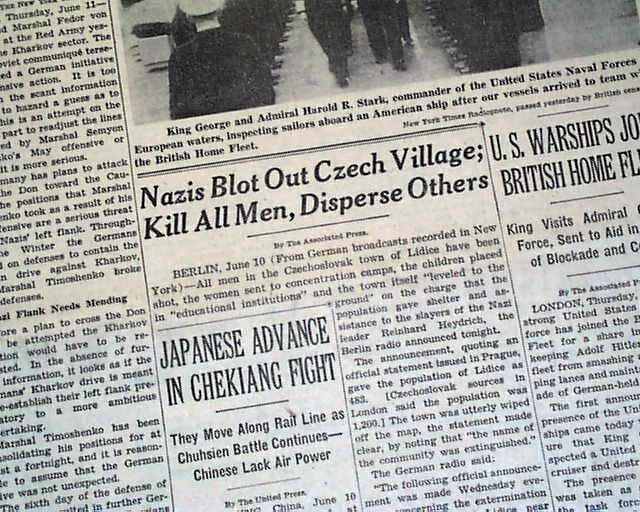 This 44 page newspaper has a two column headline on the front page: "Nazis Blot Out Czech Village; Kill All Men, Disperse Others". 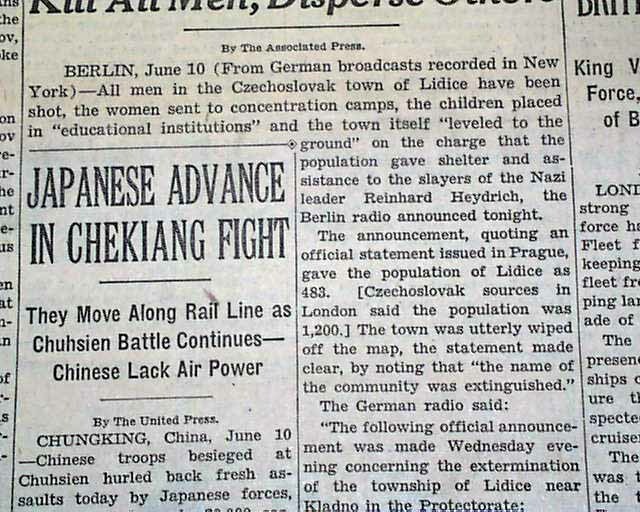 Tells of the annihilation of the town of Lidice Czechoslovakia by the Nazis. 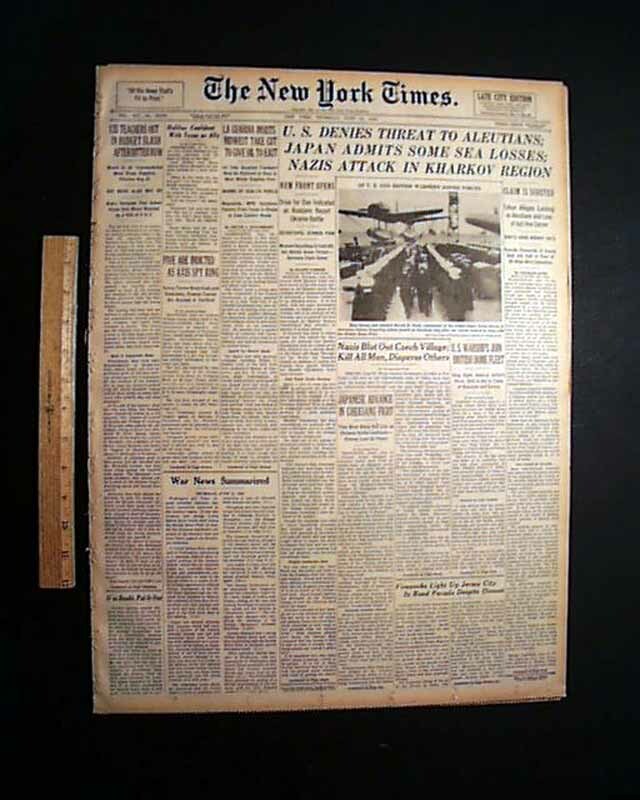 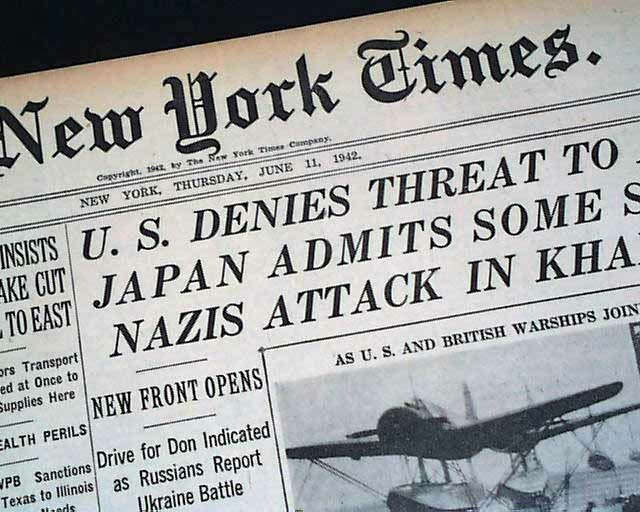 Other news of the day with much on World war II. 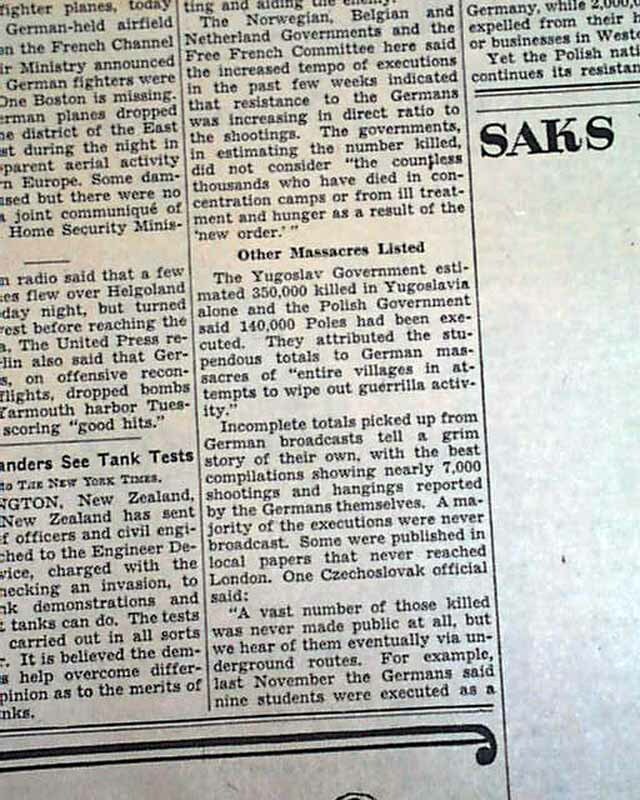 Light browning, otherwise in nice condition. 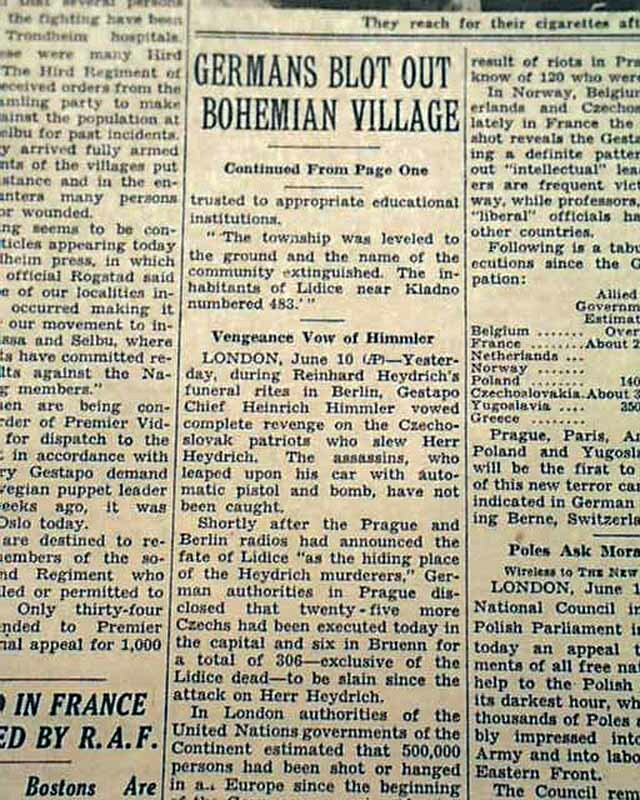 wikipedia notes: The assassination of Reichsprotector Reinhard Heydrich in 1942 by a group of British-trained Czech and Slovak commandos led by Jan Kubiš and Jozef Gabčík led to reprisals, including the annihilation of the village of Lidice. 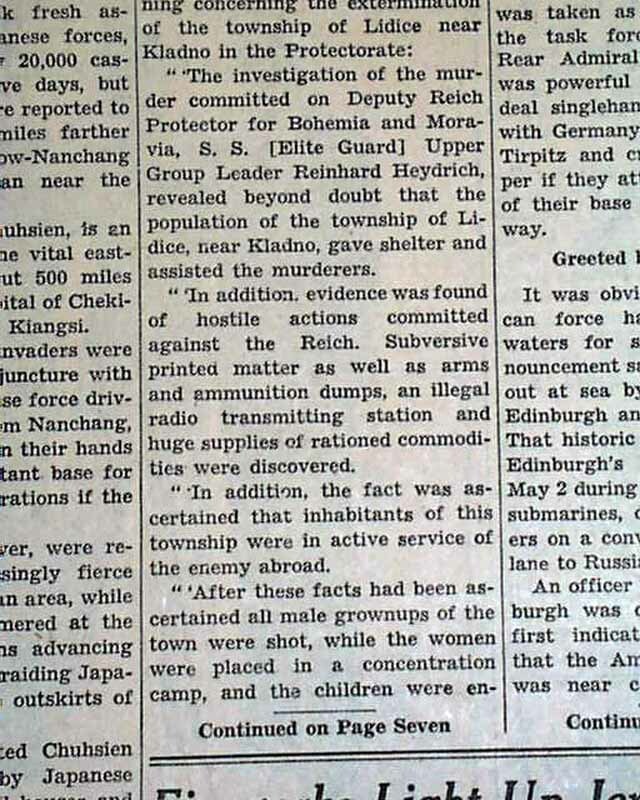 All adult male inhabitants were executed, while females and children were transported to concentration camps.